A research project that was completed over the course of three months. This project dives into creating a fresh new way of browsing and discovering music than regular music players like Spotify, iTunes, SoundCloud, or 8tracks. 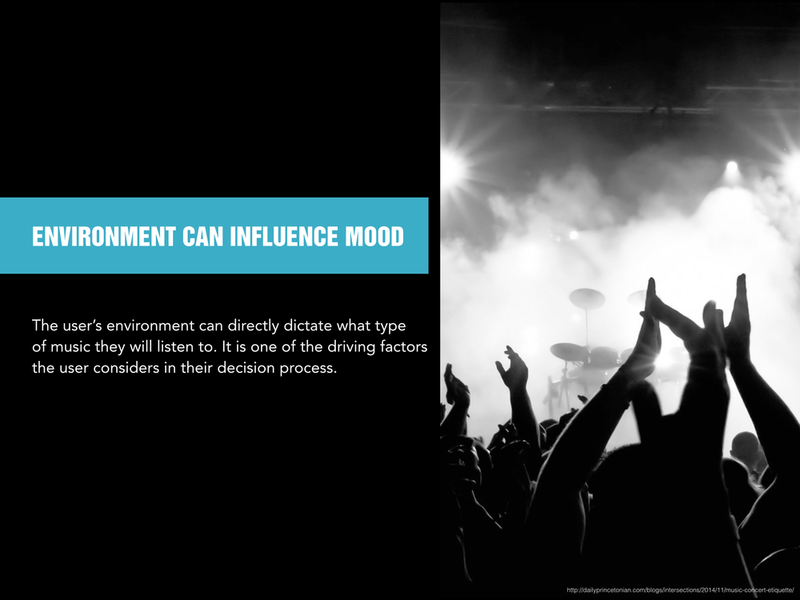 One of the biggest take aways from my primary and secondary research is that the current environment can influence the mood of a person and control the type of music they will listen to. Mixlist is a music player that allows listeners to create playlists and discover new music based off their experiences and surrounding environment. After studying abroad in Rome, I found myself connecting music to specific experiences. To preserve these memories, I associated music and pictures in relation to GPS location where the creator can look back on their memories and other listeners in that area can discover new music. 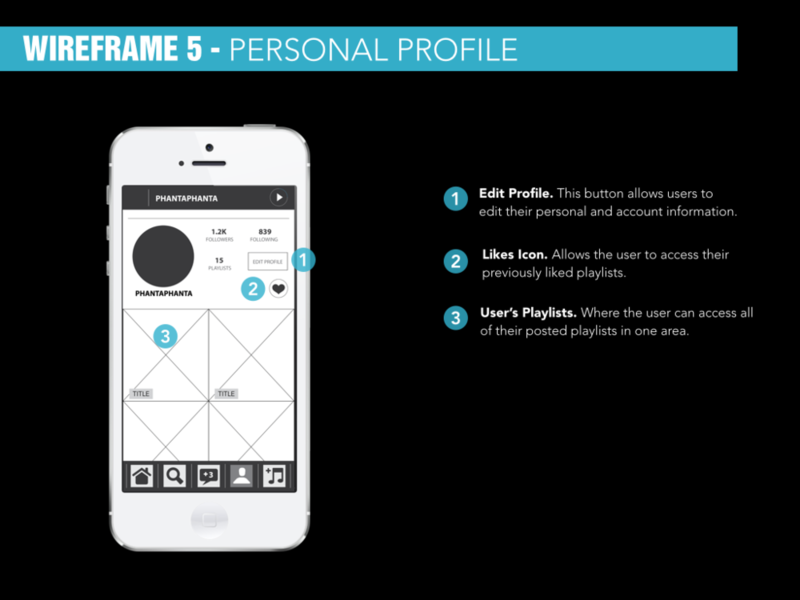 Create an application and experience that involves a music player. + weighed the pros and cons of common music players and experiences. From my research and interviews, I synthesized the data and created insights to help form the scope of my project. 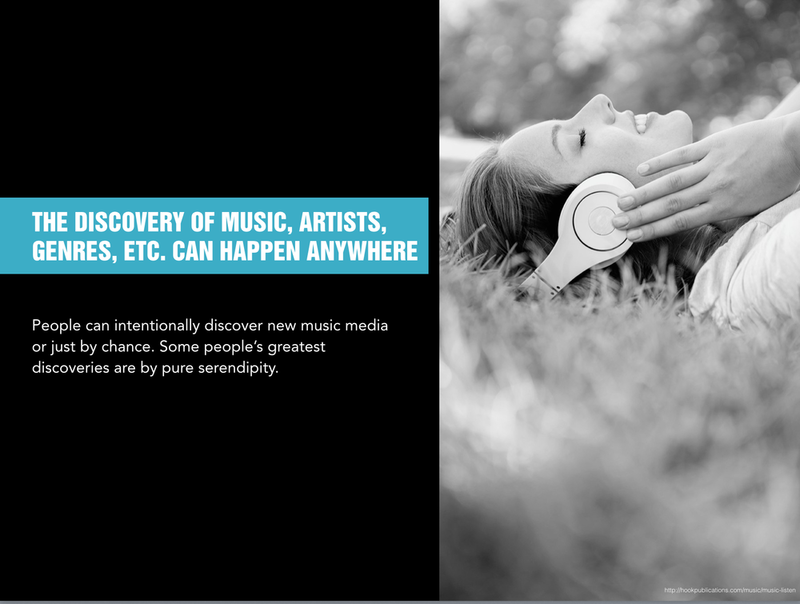 To target users who want to discover music, artists, genres, or albums based on their own or others experiences and environment. With hearing being one of the essential senses, music can trigger memories and experiences that take us back to that exact moment. 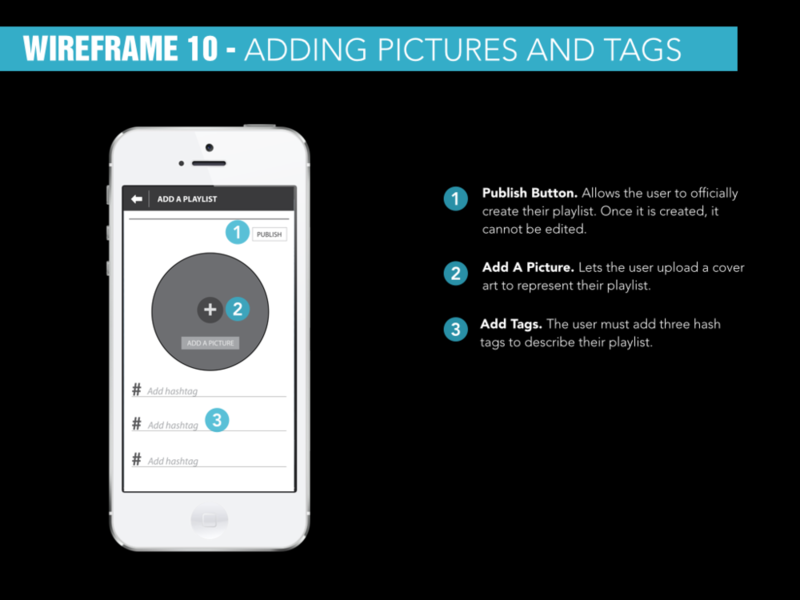 A visual music application that allows users to capture their memories through music and pictures as well as discover new music, friends, places. 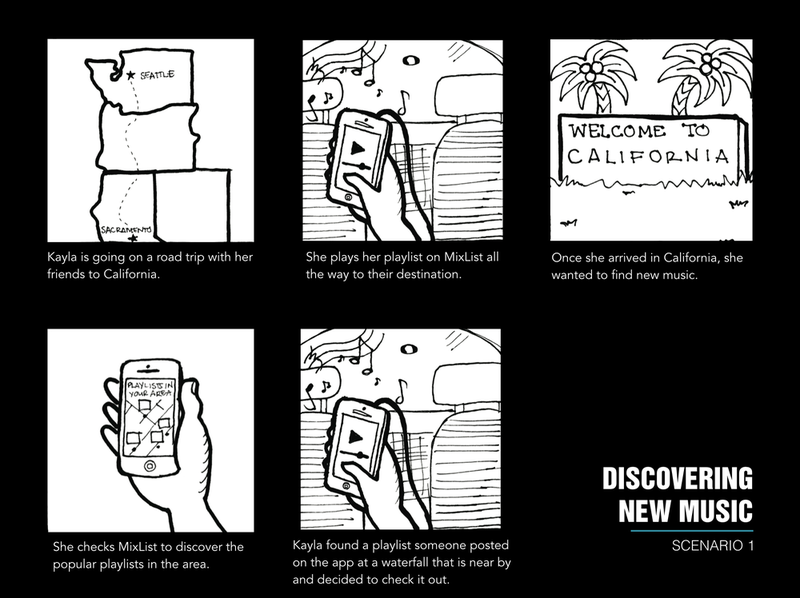 A combination of Spotify, Instagram, and Google Maps, Mixlist is comprised of numerous 3-song playlists that describe specific memories and places that users experienced at a given location. 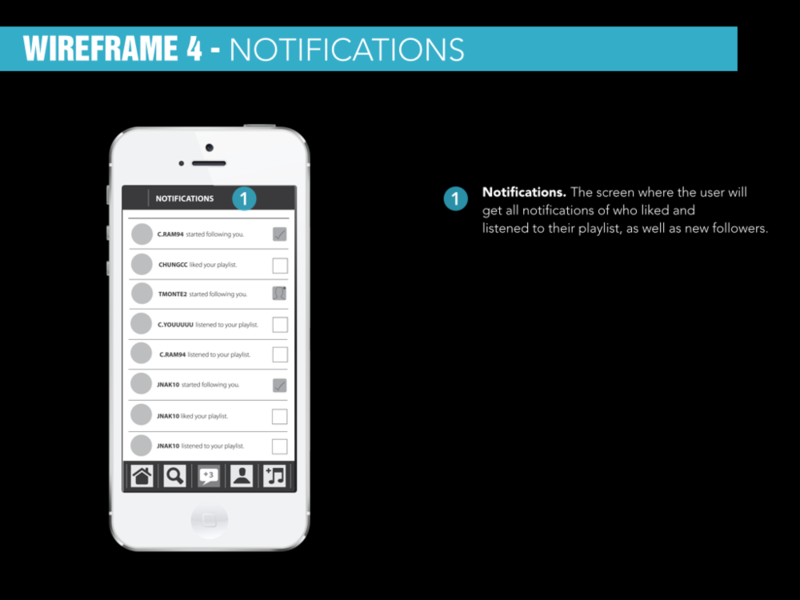 + Conceptual Model: describes every object in the music player including its attributes and actions. + Navigational Model: displays the flow of how to use the application and what happens after you click a button. 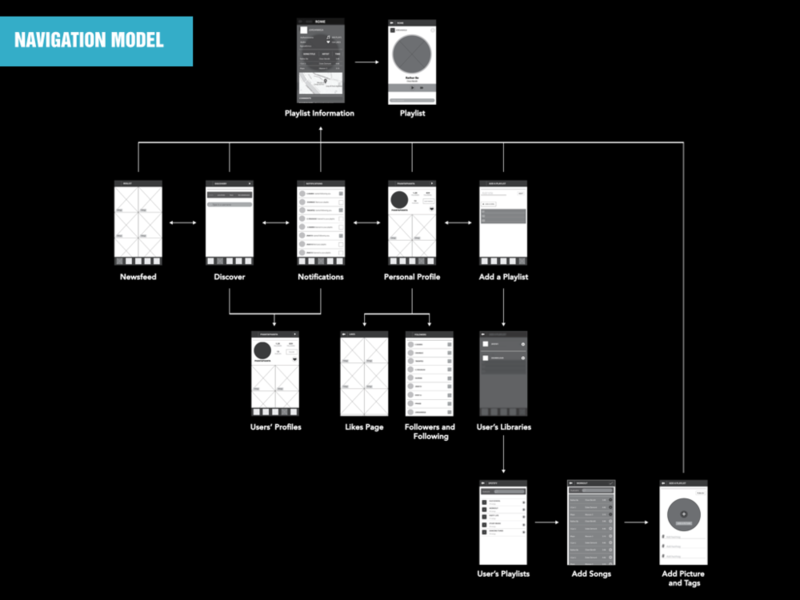 + Interaction Model: displays the layers of the music player; how many screens the user is able to swipe between and the information within each screen. Specific scenarios or tasks that a user would generally go through. 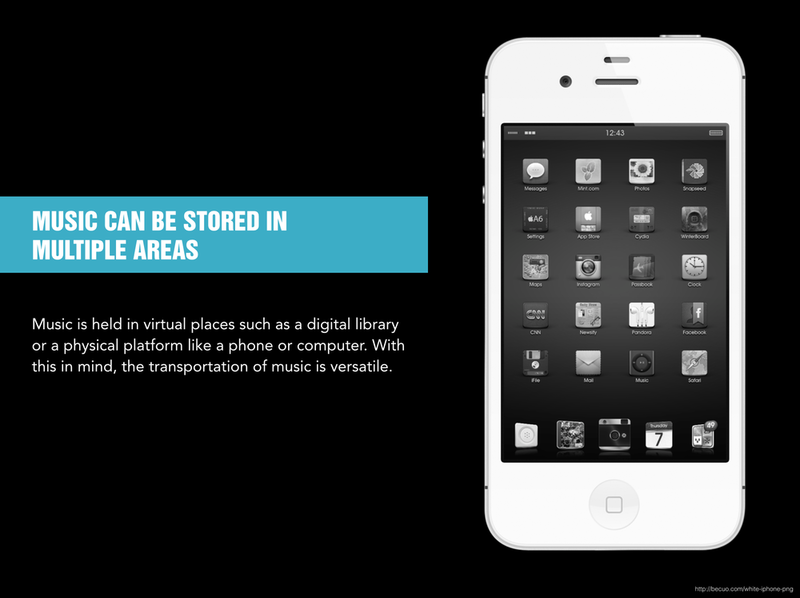 These tasks are to help people understand how the application works and how it is organized.